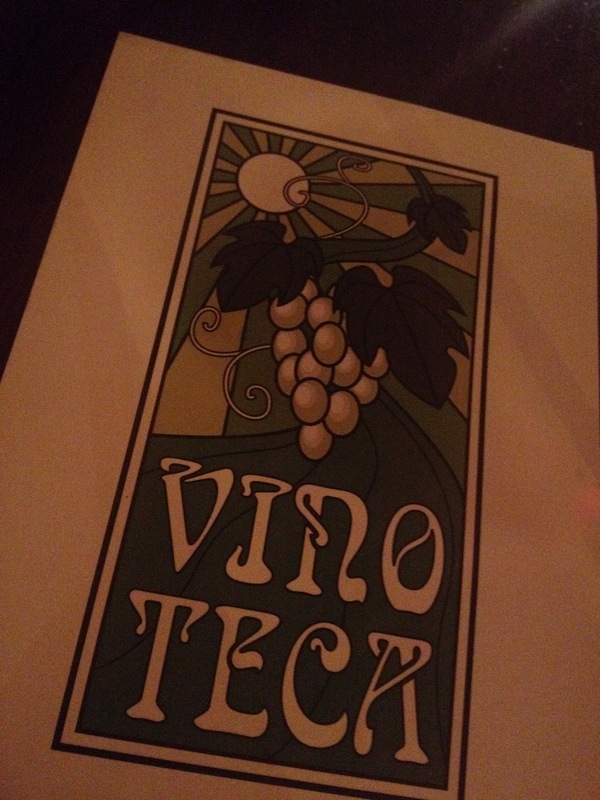 Vinoteca is a wonderful wine bar that serves excellent food in Farringdon, just on St. John Street. It also has a venue in Marylebone but I’ve only frequented the Farringdon venue on occasion over the past 4 years. It was here I suggested to catch up with my friend from South Ken. We arrived after work and unsurprisingly in a venue that doesn’t take reservations, the space was already full for dinner, comprising of a typical after work mixture of professionals, business and creative types. We were offered the extensive wine menu and offered a bar stool while we wait for space to me made. Although our host tells us that the wait should be 45 minutes, we waited only 15 minutes. This was just enough time to order a glass of prosecco and browse the wine menu. Given the extent to the menu I found it difficult to make a decision and we eventually settle for a Santa Duc. Upon being seated we order some olives and almonds to nibble on. They’re salty and tasty. For our mains I order the lamb and my friend goes for the polenta. Both main courses arrive quickly, probably too quickly as we're still nibbling on the olives and almonds. 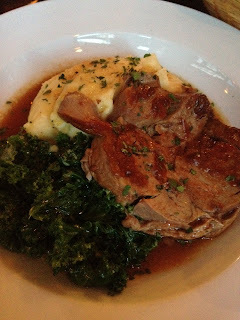 The lamb is served with delicious mashed potatoes, greens and gravy. The cut of lamb is full of flavour and falls of the knife. It’s cooked to perfection. 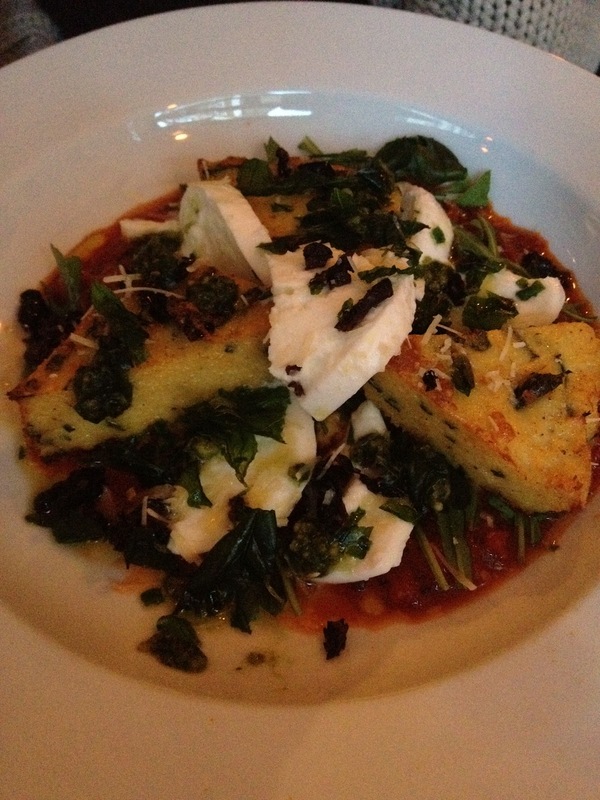 The polenta is served with cheese, greens and gravy. I tasted the polenta and it was quite nice, but nothing to particularly rave about. Ok yes, fantastic no. The lamb however I would say was pretty fantastic. 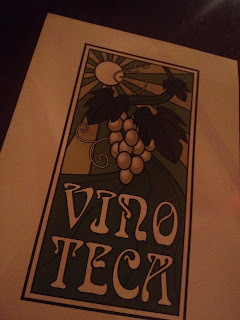 For me Vinoteca is more than just the food, it’s the wine and the ambience. The seats are packed tightly together as you would expect in any French bistro. It’s a great place for a chinwag and a good catch up with old friends. It would also be a great location for a first date or a nice evening out full stop. I would also recommend it for a working lunch. 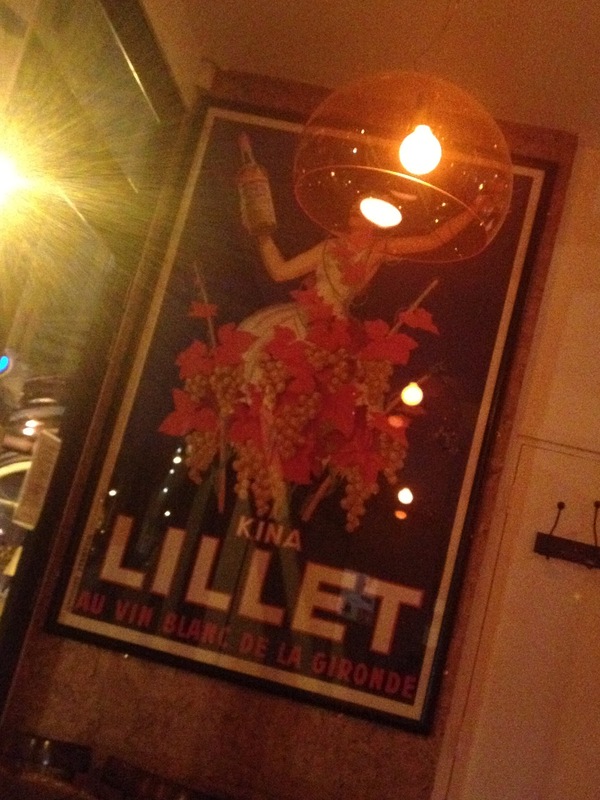 French in design, the wine and food match the French expectations. My only advice would be to seek advice to navigate the wine menu. The courses are affordable, the lamb excellent in value at £14.95 and the polenta at £10.95. 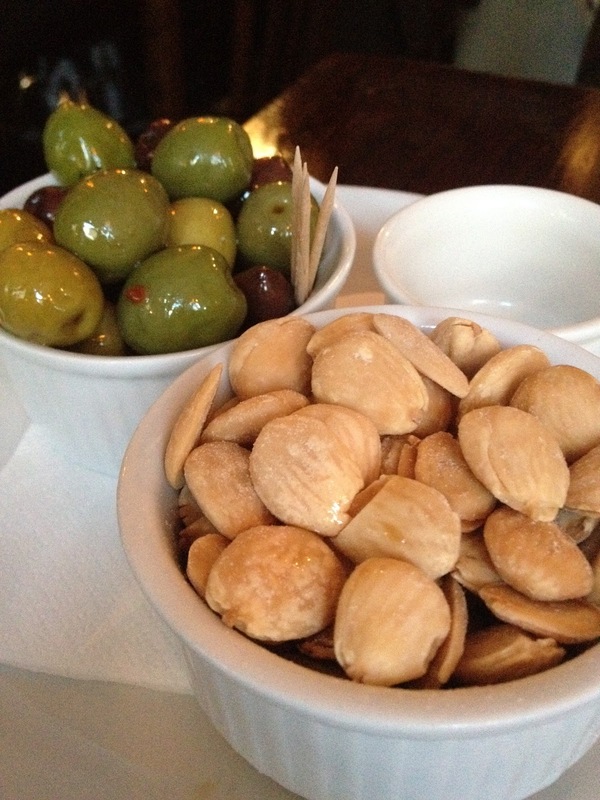 The olives and almonds cost £3 and the wine just shy of £22 per bottle. It's probably because I'm spoilt for choice in some my regular haunts in that sparking water is provided by the house. At Vinoteca it was charged at £2.50 per bottle and this was a bit annoying. I would have much preferred for an extra couple of quid added to the cost of the mains and serve filtered sparkling and non-sparkling water. But it's not a stickler. Our bill for 2 came to £100 tip included.